Which Alternative Fuel Are You? 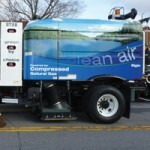 Meeting Federal, State and Municipal air quality requirements have helped bring alternative fuel sweepers to the forefront. The question is which alternative fuel is best? Which one should you get? to add more low emission alternative fuel vehicles (AFVs),” says Tom Rokas at Tymco. 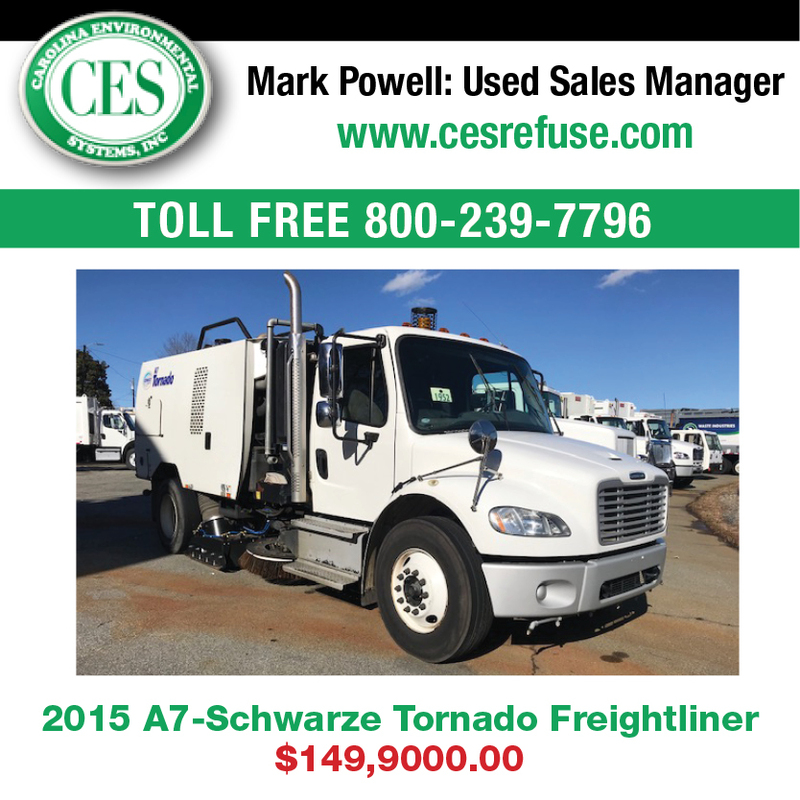 Schwarze and Tymco mirrors Elgin’s commitment to CNG. 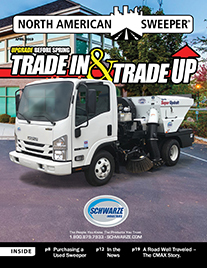 “Following the lead of the transit departments around the country, Compressed Natural Gas has become the main choice for alternative fuel sweepers at Schwarze Industries,” says Jim Adair, director of product management at Schwarze. “The cost of CNG is around 20 percent less than Diesel and various funding is available through both state, federal agencies and private grants. For instance, owners of alternative fuel sweepers can get a sizeable tax rebate from the federal government for properly registered products. The IRS website (www.irs.gov) can provide more information on the Alternative Motor Vehicle Credit. “The use of CNG fuel by cities has now been around for more than a decade, especially in Southern California. An additional reason for this choice was the quick filling of the vehicle’s fuel tank by these high pressure pumping stations allow for the least amount of downtime between sweeping jobs. On top of that, stored CNG does not vent off or have to be stored at cryogenic temperatures, increasing value and operator safety. • The size of the fuel tanks required compared to regular diesel engines. • The initial cost of the pumping stations. • Training and certification of service personnel for CNG. “So, specific technology and a certified training program had to be developed to meet expectations, and today many of these challenges have been overcome,” says Adair. One of those challenges is infrastructure. Not including private stations, there are 11,663 alternative fuel stations in the United States according to the Alternative Fuels Data Center. Nationwide, there are 578 CNG stations compared to 32 LNG stations. So, you can see why CNG is more common. For those thinking about making a purchase soon, legislation has recently been introduced to Congress to allow tax credits for alternative fuel vehicles through 2018. The legislation covers CNG, LNG, and natural gas. As city budgets continue to get slashed due to declining revenues and increased costs, many are turning to outsourcing to provide needed city services and reduce costs. Cost savings, particularly for certain services, are often immediate, while maintaining quality results with a minimum of impact on city employees. One city in Tarrant County, Texas (near Dallas) was spending more than $90,000 per year on their sweeping program. They are now spending $62,400 for a savings of $27,600 per year. 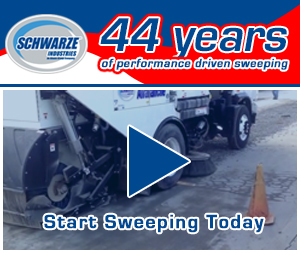 The City Council in Sparks, Nevada voted to outsource street sweeping services for an annual cost savings of $111,000. The City’s cost for providing these services was $218,596 per year for a cost savings of nearly 50 percent. As former mayor of Philadelphia, Governor Ed Rendell saved the city $275 million by privatizing 49 city services including street sweeping. Chicago has privatized more than 40 city services. In Rockford, outsourced street sweeping alone saved the city $500,000 last year. 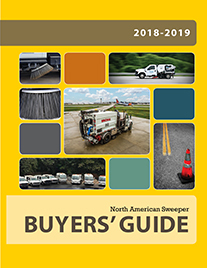 Kenilworth, Illinois is outsourcing street sweeping operations which has saved money on personnel and equipment maintenance costs, and allowed the city to forego the purchase of a new street-sweeper, saving more than $150,000. Costa Mesa, California solved their pension crisis and budget gap by outsourcing. More than a dozen tasks have been outsourced, including graffiti removal, firefighting, building maintenance and street sweeping.